Paternity is a highly personal and emotional issue. Whether you are a mother pursuing child support or a father seeking to assert your parental rights, Spring Hill paternity attorney David Day of the Day Law Office is here to support you and protect your interests. Do you have questions about establishing paternity? Contact us online or call us at 352-200-2382 to schedule a consultation with an experienced lawyer. Attorney David Day represents both mothers and fathers in establishing paternity and working through the rights and responsibilities that go along with it. He will help you create a time-sharing schedule that allows both parents to build a strong relationship with your child. 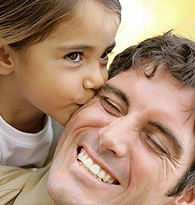 Additionally, he can help you calculate child support and enforce child support agreements. Do you have questions about paternity, child support or time sharing? Contact us online or call 352-200-2382 to schedule a consultation with an experienced lawyer who will listen to your concerns and educate you about your options. After-hours and weekend appointments are available by arrangement. We also offer convenient payment plans.